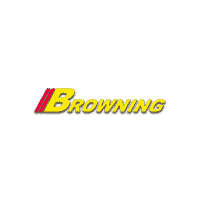 Delivers 20 Highway MPG and 16 City MPG! 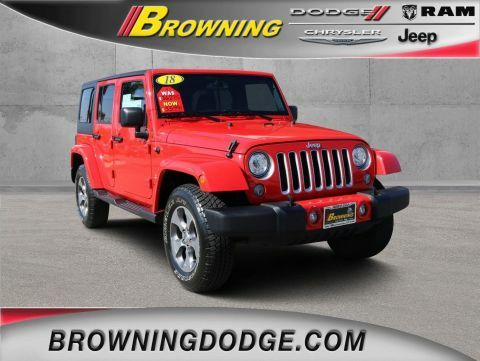 This Jeep Wrangler JK Unlimited boasts a Regular Unleaded V-6 3.6 L/220 engine powering this Automatic transmission. 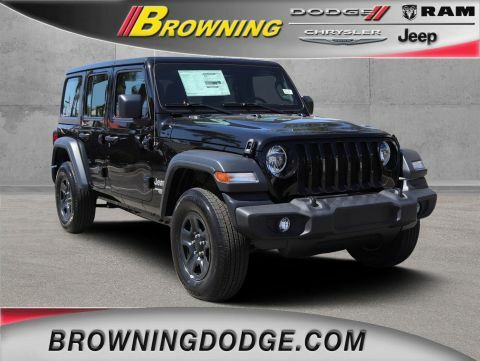 WHEELS: 18 X 7.5 POLISHED SATIN CARBON (STD), TRANSMISSION: 5-SPEED AUTOMATIC (W5A580) -inc: Hill Descent Control, Tip Start, REMOTE START SYSTEM. 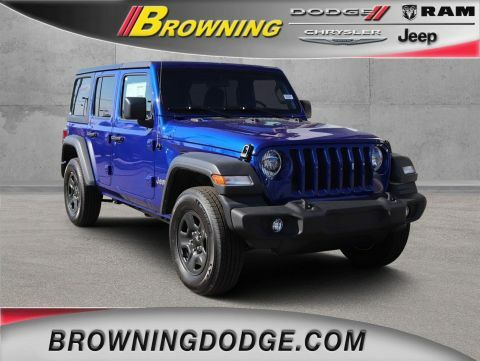 * This Jeep Wrangler JK Unlimited Features the Following Options *QUICK ORDER PACKAGE 24G -inc: Engine: 3.6L V6 24V VVT, Transmission: 5-Speed Automatic (W5A580), Body Color/Accent Color Grille, Body Color Appliques Rear Bumper, Body Color Appliques Front Bumper , MANUFACTURER'S STATEMENT OF ORIGIN, FIRECRACKER RED CLEARCOAT, ENGINE: 3.6L V6 24V VVT (STD), CONNECTIVITY GROUP -inc: Uconnect Voice Command w/Bluetooth, Vehicle Information Center, Tire Pressure Monitoring Display, BLACK, CLOTH SEATS W/ADJUSTABLE HEAD RESTRAINTS, BLACK 3-PIECE HARD TOP -inc: Rear Window Defroster, Delete Sunrider Soft Top, Freedom Panel Storage Bag, Rear Window Wiper/Washer, 3.21 REAR AXLE RATIO (STD), Wheels: 18 x 7.5 Polished Satin Carbon, Variable Intermittent Wipers. 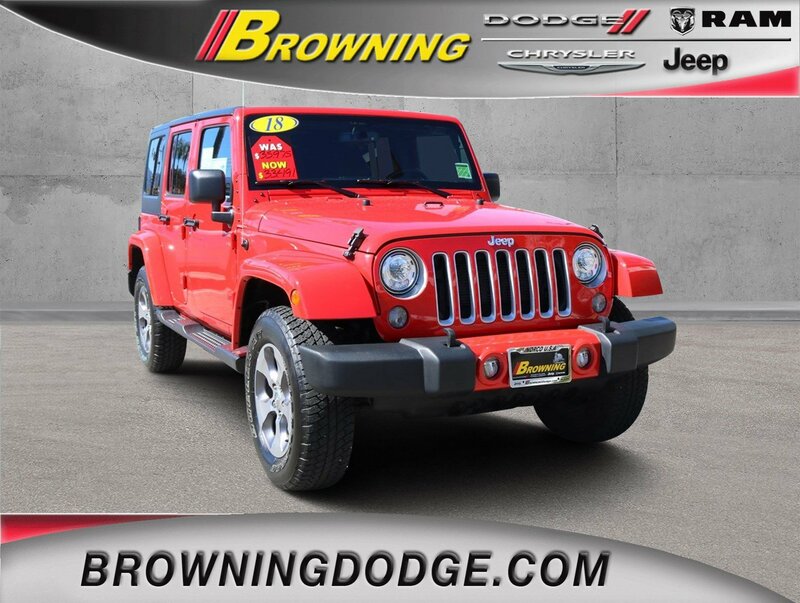 * Visit Us Today *A short visit to Browning Dodge Chrysler Jeep located at 1983 Hamner Ave, Norco, CA 92860 can get you a reliable Wrangler JK Unlimited today!